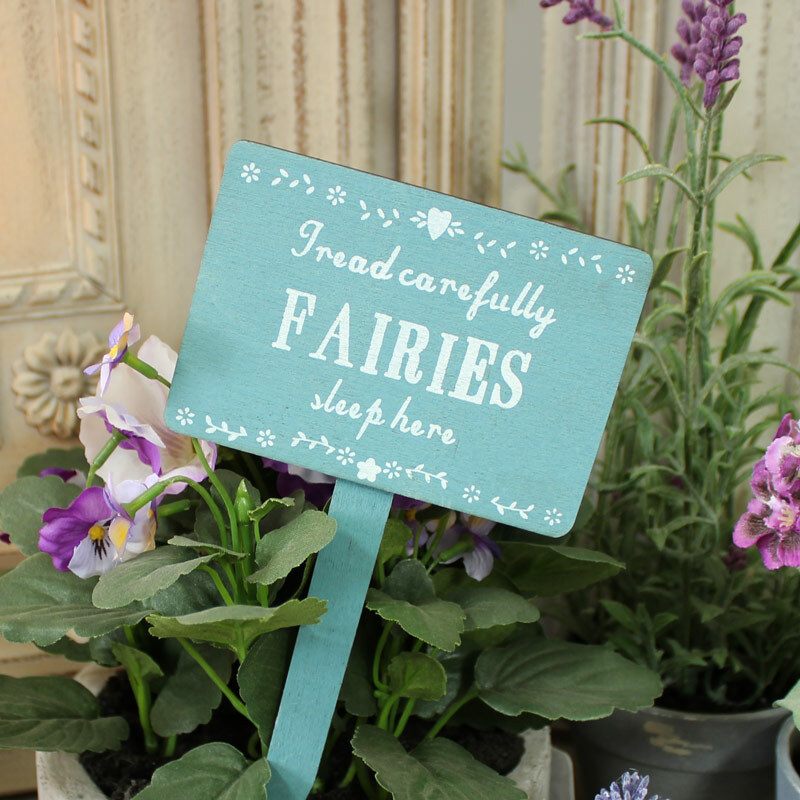 From the giftware and gardens collections, this 'Fairies Sleep Here' Wooden Garden Sign is made from wood and painted blue with white lettering and floral detail. 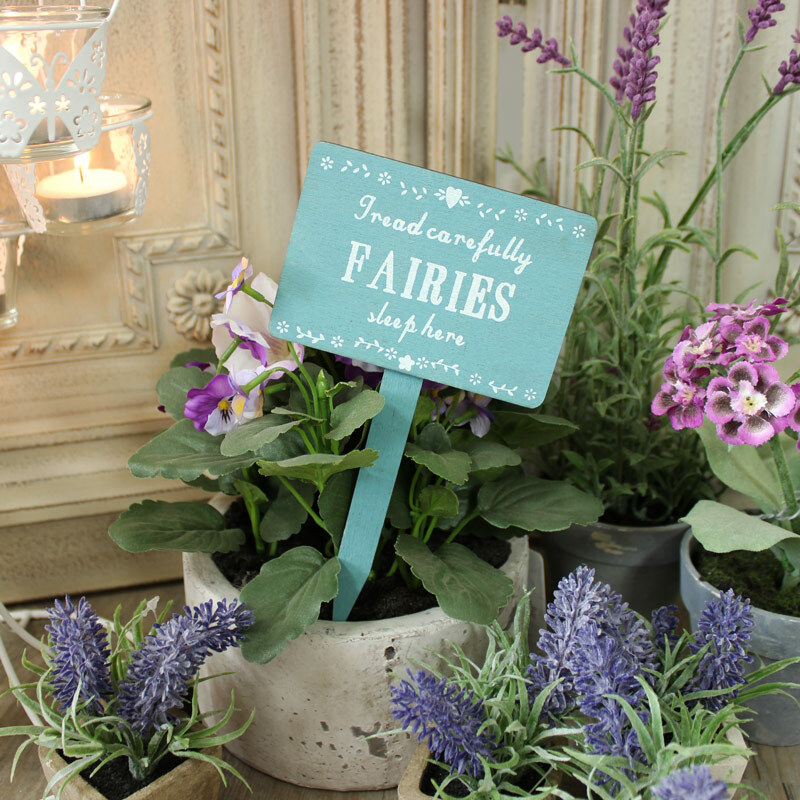 It is a wonderful idea to delight small children and create a magical little garden plot and what better way to get children outdoors and introduce them to gardening although you could use it for your pots indoors too. Its dimensions are 10 cm x 18 cm (width x height).